I couldn't help myself... I have been wanting to share my little front porch with all of you, but my darn tree literally keeps blowing away. The fact that it's in a big bucket with a bunch of large rocks and water and it still blows away tells you that our street (or maybe it's North Carolina?) gets some gusty winds. It seems like you have to keep things nailed down around here. Anyway, my little front porch tree isn't looking too swell anymore and either is my cute little black lantern...because the tree fell on it and broke the glass out of one side. Live and learn, huh? Note to next year self: Do not buy cute little Fraser fir tabletop tree at Home Depot for the front porch! The front porch is still very much a work-in-progress for me. I've been focusing most of my attention to the inside of our new house and if I hadn't found these $15 Ballard Design chairs on Craigslist, I probably wouldn't have anything out there yet. They need a bit of cleaning up and some cute black and white damask outdoor pillows, don't they? Wonder if they'll blow away too? This is pretty much the only time you'll see the traditional Christmas reds and greens around my house. 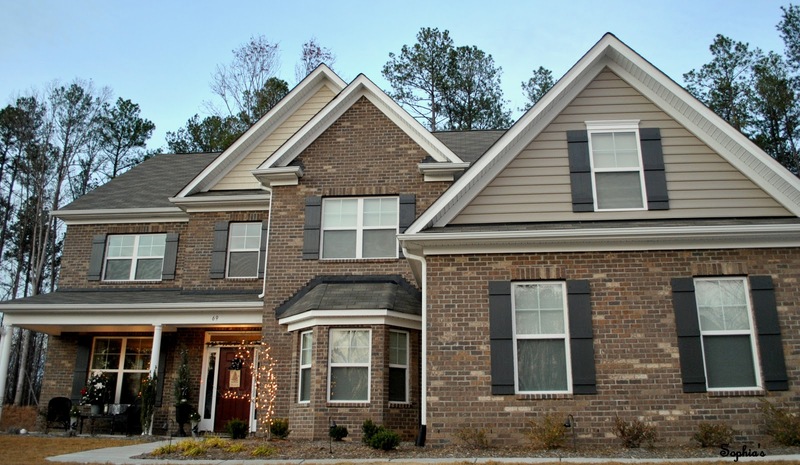 The color of the brick is very muted combined with a taupe siding and dark charcoal gray shutters. This isn't a color palette that would have come naturally for me and to be honest, it was the floor plan that sealed the deal on this house, not the exterior. 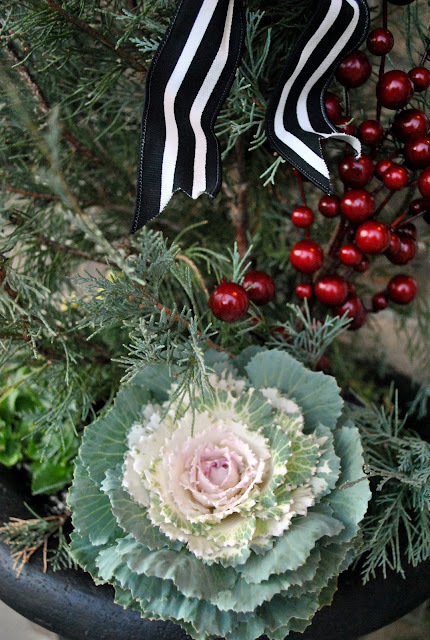 I can't believe I still have kale in December. These would freeze and die before November in Spokane, WA. It's still so alien to me that I can go outside in a t-shirt to take pictures and it's almost Christmas! To add a little zing to the porch, I simply wrapped a faux present (with rocks in the box so it won't fly away). My kids still don't get this...no, it's not for you...just for decoration. 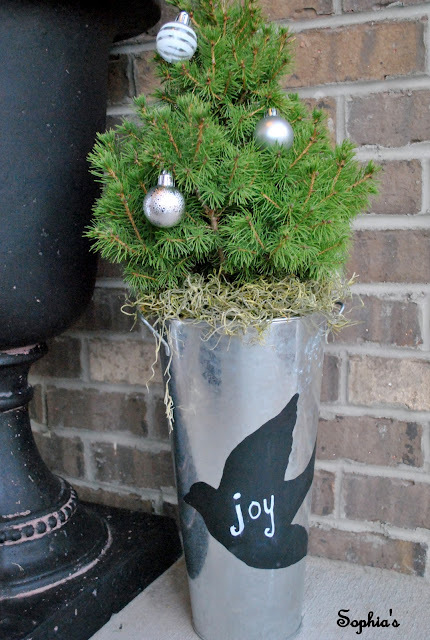 Another idea to add a little low-cost personalization to your porch is to pick up a basic galvanized bucket at a craft store, stencil on any image in chalkboard paint, and add a message with chalk. 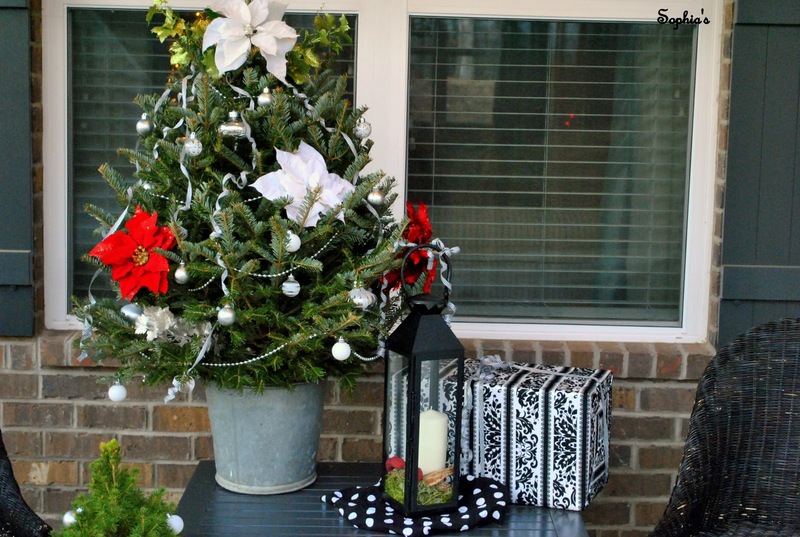 I went with an inexpensive $6 tree at Home Depot, but topiaries, poinsettas, or any kind of plant will do. I added simple bows from ribbon that I had on hand to the planted trees in my urns, but I'm going to be adding some white twinkling lights as soon as I can. This year, it will be a very simple front porch. 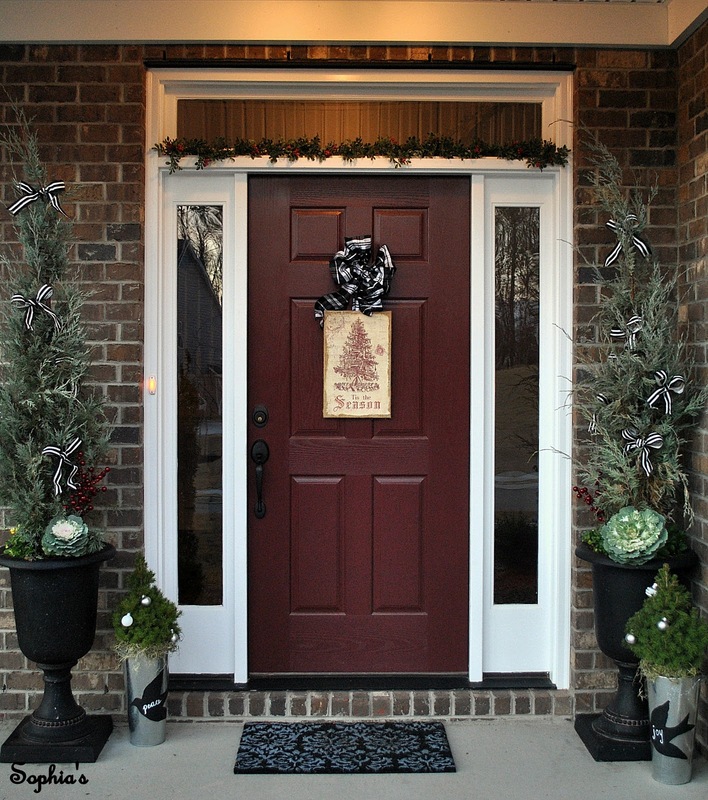 I plan on shopping the "after Christmas sales" and hope to pick up some high-quality wreaths that I can use on the windows every year and I'm still trying to convince my husband to help me hang some Christmas lights...maybe next year? 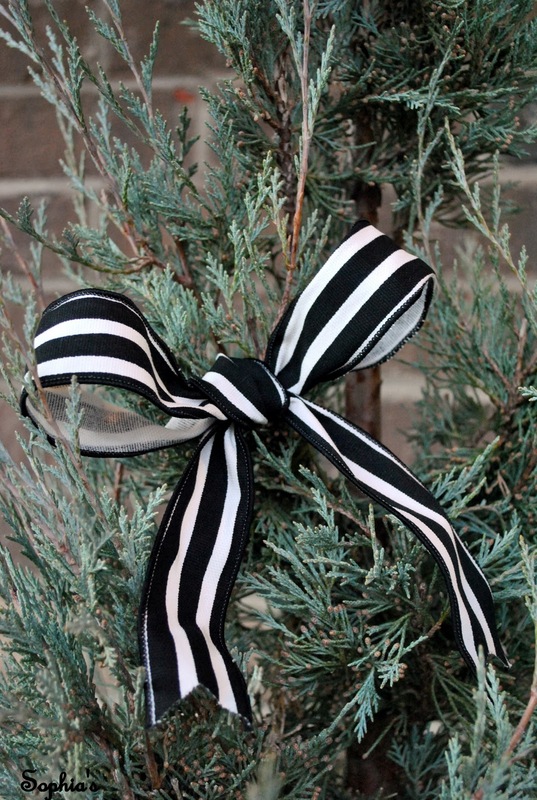 In the meantime, I'll just be trying to figure out how to keep my tree from blowing away. 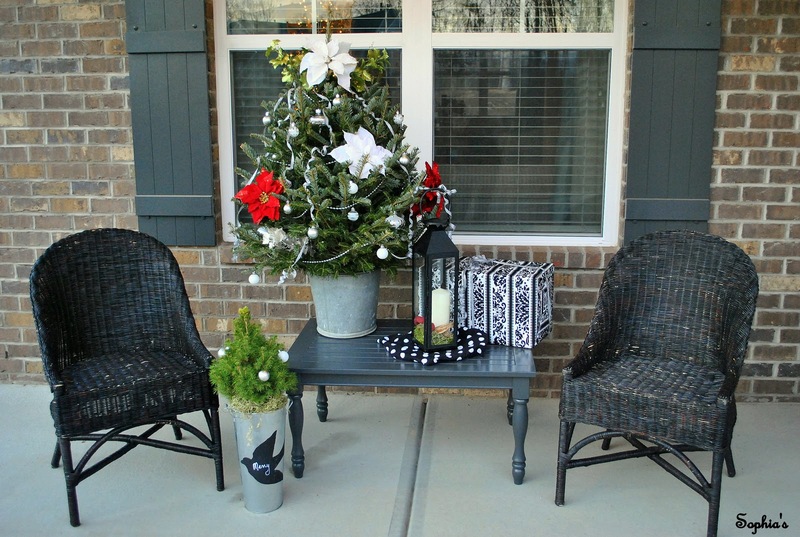 Your porch looks so cute and festive! 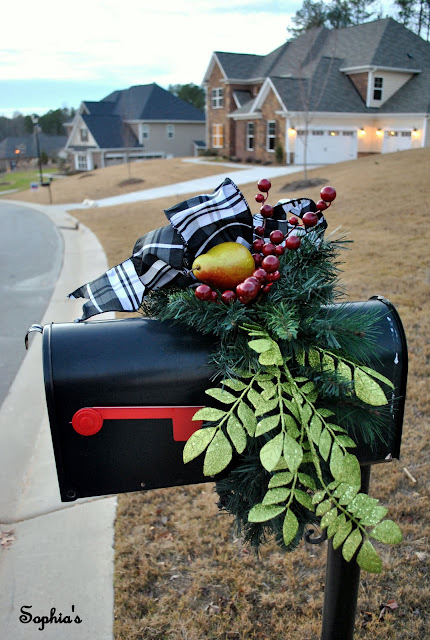 I love your mailbox decoration, too! You have created a very warm and inviting home! 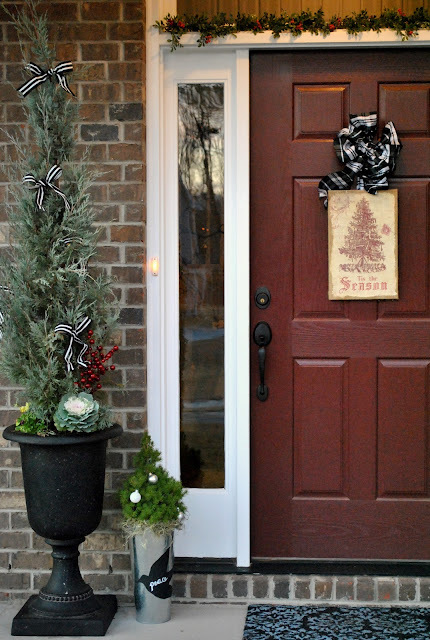 Love your front porch Christmas decortions, and mail box...so sweet!